Zach Rogue’s evolution from simple acoustic indie-pop novice to polished songwriting ace has been an interesting and satisfying development to hear. “Eyes”, an acoustic strummer, and “Lake Michigan”, a dreamier pop song, both provided hints of Rogue’s pop smarts early on. While his early albums under the Rogue Wave banner bore strong melodies and an honest, emotional earnestness, Rogue has shown an increasingly sophisticated palette in his later work. 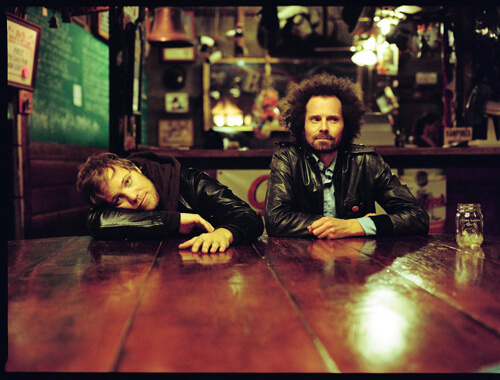 “College”, the latest single off the band’s 2013 album Nightingale Floors, bears Rogue Wave’s distinctively hazy indie-pop sound, while still being a propulsively catchy song. The rest of the album, the band’s first for Vagrant Records, shows just how Rogue’s songwriting skill now equates to effortless-sounding pop songs. Just realize that stuff this good is pretty rare to find.